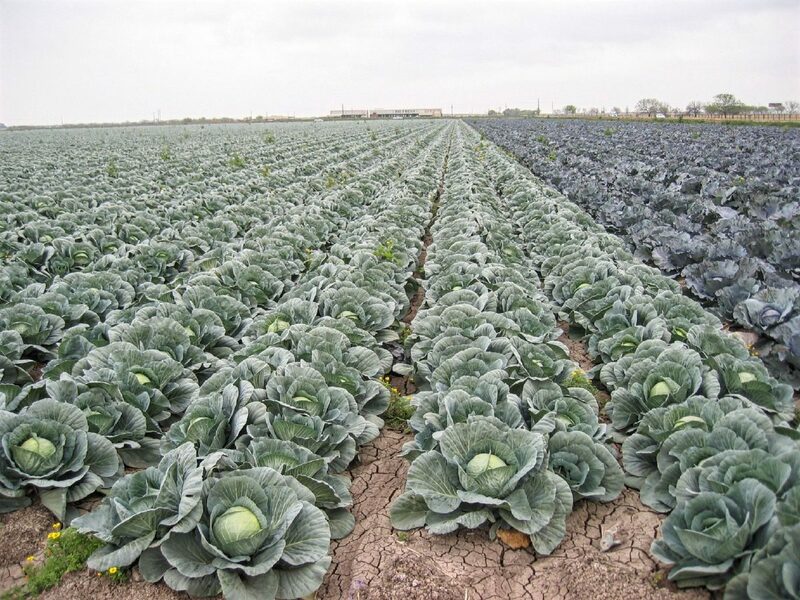 Rows of cabbage being grown in the Lower Rio Grande Valley. MISSION — An education program for Rio Grande Valley vegetable growers on the practical aspects of water conservation technologies will be presented from 8 a.m.–noon March 6 in Mission. Lucas Gregory, Texas Water Resources Institute research scientist, College Station, said the program will begin with a panel discussion with growers on drip irrigation application in vegetables. Juan Landivar, director of the Texas A&M AgriLife Research and Extension Center at Corpus Christi and Weslaco, will discuss the use of unmanned aerial systems, or UAS, in production agriculture. Dr. Juan Enciso, AgriLife Research irrigation engineer, Weslaco, will give an overview of ongoing efforts to improve irrigation efficiencies and promote conservation.